Every morning at ARHS, students and faculty pour through the front doors and into the hallways, many of them with a beverage in their hands,whether it be in a mason jar, travel mug, Dunkin’ Donuts, or Rao’s cup. Kick-starting the school day with a beverage has become a popular trend among the students of ARHS. So what exactly do students drink in the morning and why? Senior Diamonique Seiha opts for Dunkin’ Donuts coffee every morning. In the warmer seasons, she drinks coconut caramel iced coffee and in the cooler seasons, she switches it up for mocha caramel hot coffee. Her daily Dunkin’ run takes about five minutes out of her morning and costs about $2.00. Over the course of the school year, she estimates that she spends over $350 dollars on coffee. “I’m going broke,” said Seiha. Krouch refuses to drink zero calorie Vitamin Water because she said it tastes awful. “I drank it one time and it ruined my whole day,” recalls Krouch. “There are really no benefits to drinking hot chocolate every morning…except getting fatter,” jokes Archer. Jaime Cruz drinks an ISO 100 French vanilla protein shake every morning and night. “Protein shakes help build my muscles and it aids them in recovering after I work out,” said Cruz. “I’m making gains in the gym.” Cruz pays $60 – $70 for about 50 servings. 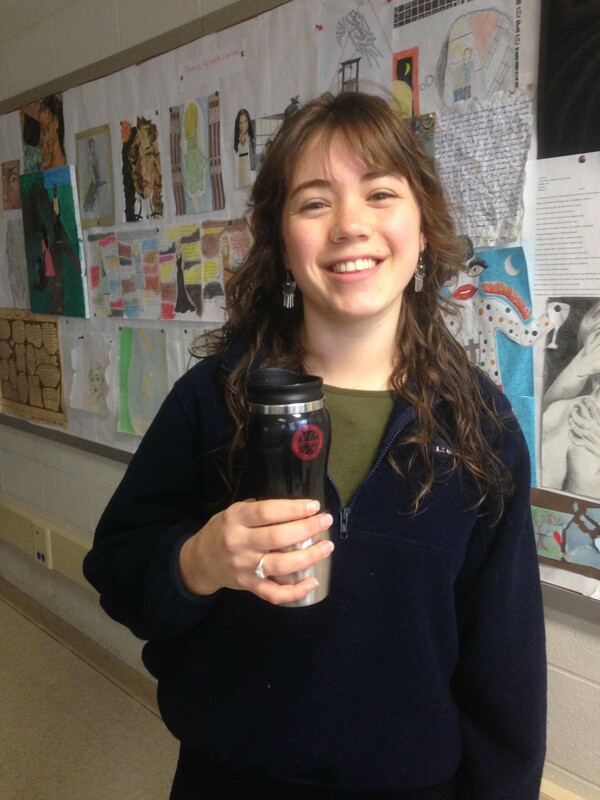 Junior Maria Wehrli makes coffee at home before school, usually adding milk and sugar. “I like the taste of coffee and it also helps me focus in school,” said Wehrli. It takes Wehrli about five minutes out of her morning to make coffee. I would rather buy coffee from a coffee shop, but I never have time in the mornings,” said Wehrli. Overall, the students at ARHS drink a wide variety of beverages in the morning, ranging in different tastes, purposes, and costs. According to the National Coffee Association, the percentage of Americans who drink a cup of coffee every day has been declining for three years in a row. Meanwhile, according to the US Tea Association, tea drinking is on the rise, paired with the expansion of the US tea industry. Whether it’s tea, coffee, vitamin water, or protein shakes, ARHS students are waking up with a bang.